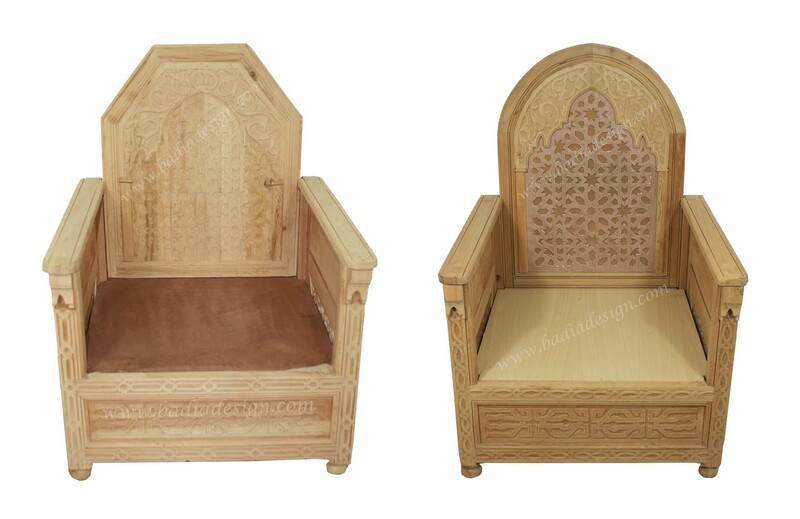 Moroccan Unstained Hand Carved Wooden Chair from Badia Design Inc. There are two different designs listed, please choose the one you want to purchase. 28 1/4" W x 27 1/2" D x 39" H, Seating Height - 11 1/2"
Click the button below to add the Unstained Hand Carved Wooden Chair - CW-CH017 to your wish list.